Apple CEO Tim Cook just officially unveiled the iPhone 4S – instead of the much-anticipated iPhone 5 – at today’s live keynote in Cupertino – and although the next-generation device features the same retina display and glass-backed enclosure as the iPhone 4, the multi-tasking powerhouse packs an impressive set of new features under the hood. The latest edition of the iPhone features the company’s new dual-core A5 chip (which is twice as fast at CPU tasks) and a 7x faster dual-core graphics chip, however they were able to actually increase the device’s battery life to 8 hours of talk time by using more energy-efficient components. It also features an impressive 8 megapixel f/2.8 aperture camera with 1080p HD video recording that closes the gap on point-and-shoot cameras and video recorders, reducing the need for consumers to purchase additional devices, which incur a heavy cost on the environment. Read on to learn more about how the new iPhone 4S fares in terms of its environmental footprint – from material use and production processes to features, applications, and recyclability at the end of its life-cycle. 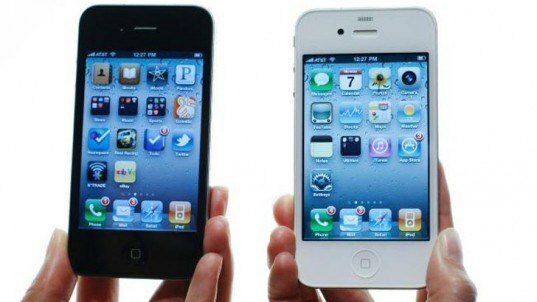 The new iPhone 4S features Apple’s new A5 chip, which is twice as fast at completing tasks, in addition to a new dual-core graphics card that is 7 times faster than the previous iPhone. The 4S also features faster upload and download speeds (14.4 Mbps down vs 7.2 Mbps down) and it can intelligently switch between two antennas to send and receive data, which improves call quality — something never seen in a phone before. Even with these faster components, the 4S still manages a whopping a 8 hours of talk time. Low-energy components and power management software help drop energy usage dramatically. Like every product Apple sells, the 4S not only meets but exceeds the strict guidelines for energy efficiency set by the ENERGY STAR certification system. To date, Apple has sold over 250 iOS devices – including iPhones, iPods, and iPads – which add up to a tremendous environmental impact when you consider the materials and energy needed to manufacture and ship the devices around the world. Fortunately, the company has pursued more efficient designs and production processes that fall in line with its streamlined aesthetic and the trend towards thinner, lighter devices. By engineering smaller, thinner and lighter products, the company is able to use less materials, thus reducing carbon emissions without sacrificing performance. Apple has also worked diligently with their manufacturing partners to eliminate toxic substances such as arsenic, brominated flame retardants (BFRs), mercury, phthalates, and polyvinyl chloride (PVC) from their products. Not only is every product free of BFRs and other harmful toxins, but Apple has also qualified thousands of components to be free of elemental bromine and chlorine, putting them years ahead of anyone else in the industry and impacting industry standards for the greater good. In addition, every display on every product features mercury-free LED backlighting and arsenic-free glass. Apple also ensures that all e-waste collected by Apple-controlled voluntary and regulatory programs worldwide is processed in the region in which it was collected. Nothing is shipped overseas for recycling or disposal, and they do not allow the disposal of hazardous electronic waste in solid-waste landfills or incinerators. 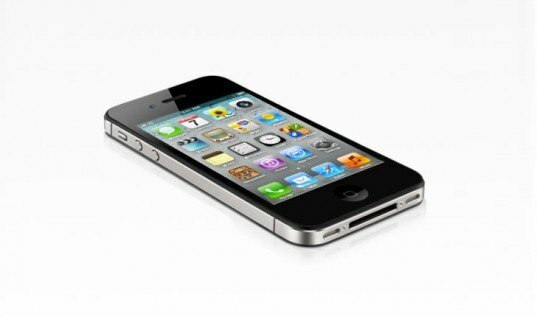 The first iPhone was released in 2007, and since then Apple has become the largest mobile handset vendor in the world. The rise of the smartphone has spurred on a tech revolution, since lots of people use iPhones as a camera, a video recorder, and a GPS system – and that’s hardly scratching the surface of the apps available today. 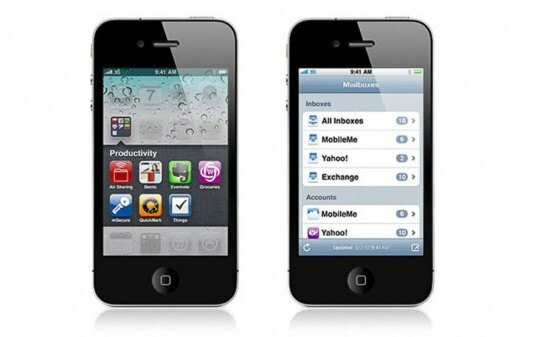 The advanced feature set of the iPhone 4S packs more utility into a single device, further reducing the need for the average consumer to purchase and carry separate gadgets. Due to their small sensor size and fixed lenses, camera phones are unlikely to ever replace the heavy, hulking DSLRs used by professional photographers – but the iPhone 4S’ 8 megapixel sensor and f/2.4 aperture lens certainly closes the gap on consumer point and shoot cameras. The iPhone’s new CMOS backside illuminated camera sensor also boasts 73% increased light sensitivity and takes shots 1/3 faster. These features add up to a cellphone camera that should perform better under low light conditions and open wide for shallower depth of field. The highly produced photos showcased at the keynote look fantastic, however we’ll have to wait to see photos taken under real world conditions to asses the camera’s true capabilities. The iPhone 4S also features 1080p HD video with image stabilization – specs on par with dedicated portable video recorders like the Flip. Apple CEO Tim Cook just officially unveiled the iPhone 4S - instead of the much-anticipated iPhone 5 - at today's live keynote in Cupertino - and although the next-generation device features the same retina display and glass-backed enclosure as the iPhone 4, the multi-tasking powerhouse packs an impressive set of new features under the hood. The latest edition of the iPhone features the company's new dual-core A5 chip (which is twice as fast at CPU tasks) and a 7x faster dual-core graphics chip, however they were able to actually increase the device's battery life to 8 hours of talk time by using more energy-efficient components. It also features an impressive 8 megapixel f/2.8 aperture camera with 1080p HD video recording that closes the gap on point-and-shoot cameras and video recorders, reducing the need for consumers to purchase additional devices, which incur a heavy cost on the environment. Read on to learn more about how the new iPhone 4S fares in terms of its environmental footprint - from material use and production processes to features, applications, and recyclability at the end of its life-cycle.